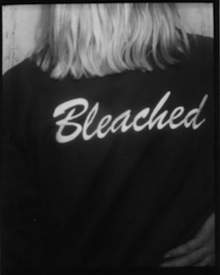 During the second of of today’s show, Jennifer Clavin of Bleached will be guest DJ’ing. Be sure to tune in, and do check out the new Bleached video for “Think of You,” here. Highland Park’s “Coldest Beer In Town” makes a cameo. Nice touch. Love Bleached’s picks (Johnny Thunders? hell yes) and have been looking up a few I didn’t know about. Apparently Skrewdriver were an English punk rock band that evolved into a neo-nazi band? Is that accurate? Sorta of a trashy pick to throw in with the rest of this great lot. Dug Jennifer’s song choices today. Gonna catch the repeat tonight.